The new iCAM502 (replacing the iCAM501) with improved MACRO function is a Group 1 and Group 2, Zone 0 intrinsically safe digital camera and is the perfect visualisation tool for use in hazardous areas. ATEX and IECEx certified, the iCAM502 can be used in all sectors of industry including Chemical & Pharmaceutical plants, oil and gas production platforms, refineries and coal mining. Manufactured from rugged injection moulded anti-static plastic and with additional protection provided by the new rubber casing, the iCAM502 is IP65 rated and is suitable for use in the most arduous environments. Its long slim lightweight enclosure, weighing less than 200g, lends itself to single handed operation, making it convenient to carry in your pocket. 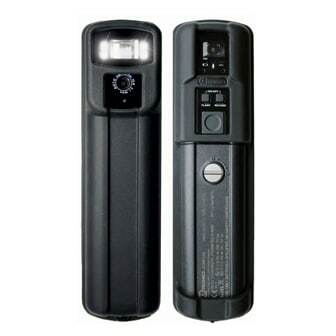 Equipped with a new high performance lens, enhanced 4 LED flash, advanced anti shake and image sharpness technology, the iCAM502 provides high quality images in all Hazardous Area environments. Data transfer to any computer in the safe area is simple and easy to undertake via a USB port utilising Picture Transfer Protocol (PTP) which is initiated automatically. All images are date and time stamped to create a chronological history and are coupled to the unique function of Voice Annotation Audio records, which are systematically matched to the image filename.